While working as a sales agent for several contractors in Detroit, Michigan, A. Gales Johnson made up his first book of home plans. When the first World War caused a virtual shutdown of construction, Mr. Johnson moved to Toledo and concentrated his efforts on sales of plan books featuring charming, economical home designs with blueprints that builders and homeowners could order by mail. The plan business, which was then called Standard Homes Company, moved to Washington, D.C. where it continued to grow. 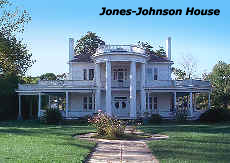 Mr. Johnson helped his two sons, A. Glendon and William W. Johnson, to organize a southern office on the old Capt. Ethelred Jones farm in Wake County, North Carolina, where the original home dating back to 1780 still stands lovingly occupied. Mourning the death of their father that year, A. Glendon and William continued the successful operation of both offices, taking to heart the values of hard work and sense of purpose that he had taught by example. The North Carolina office eventually became a separate entity under the leadership of William Johnson, and in 1967 the company was incorporated under the new name of Standard Homes Plan Service, Inc., jointly owned by Mr. Johnson, his wife and three daughters. After William Johnson's death in 1974, his son-in-law Phillip Proctor became President of the company having spent many years learning the various facets of the business. Mr. Proctor's tenure saw the business go through many changes as building codes were continually revised, as government loan programs came and went, and as the preferences of American home buyers took various turns. During this period, new tools and processes such as Computer Aided Design were introduced and quickly became the standard. Next came the Internet, and the company soon produced a web site offering home plans online. 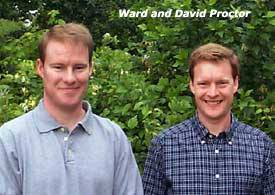 In 1997-1998, Phillip Proctor turned control of the company over to his sons, David and Ward Proctor. They work to nurture an environment in which changing customer needs are met, and where competent, motivated employees strive to improve service and products. The company continues to operate as a family-held business under the guiding principles of its founder: to offer an excellent value in home plans; to trade honestly, helpfully, and fairly; and to take pride in helping people attain the goal of owning the home of their dreams. "Above all else, when you walk into your new home and realize that you are its owner and that no man has the right to raise your rent or limit your stay . . . a feeling of independence will creep into your consciousness and become a part of your being, which will mean more to you by far than any other earthly possession." Founder, Standard Homes Plan Service, Inc.
(c) Copyright 2015 Standard Homes Plan Service, Inc.
See the online gallery featuring works by our in-house artist, John Klingler.